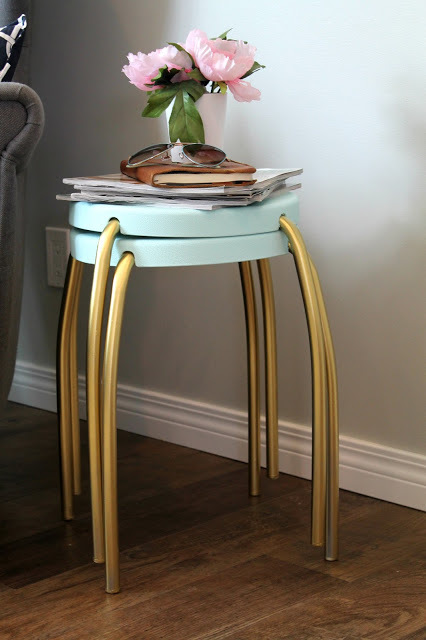 Kat, from Blessed Life atop a Cake Stand, shared a gorgeous little stool makeover. Samantha, from Five Heart Home, shared this yummy Herb Baked Egg Dish recipe. 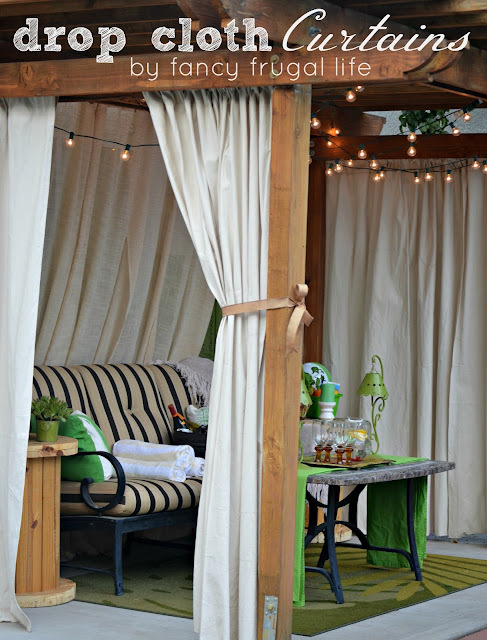 Lina, from Fancy Frugal Life, shared her gorgeous Cabana. Melissa, from How Sweet It Is, shared her beautiful master Bedroom Makeover. Sarah, from A Little of This, A little of That, shared her lovely new gallery wall. Ingrid, from Now at Home Mom, shared her crate toy storage system. Now, on to the party. 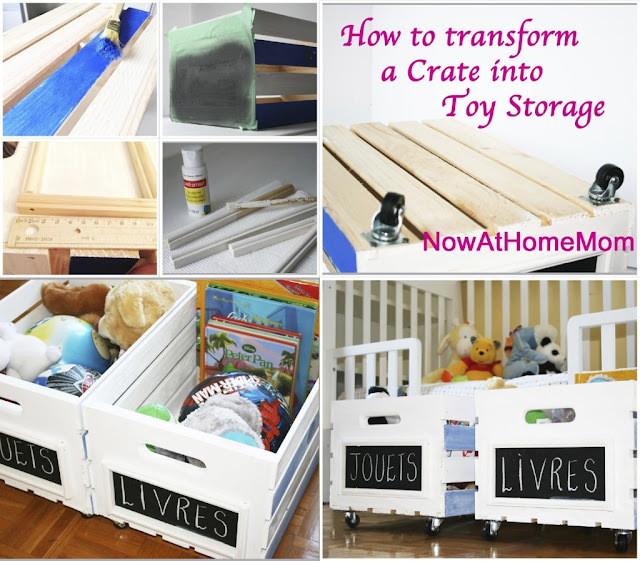 Link your crafts, DIYs, recipes, home tours, parties, sewing projects or health/beauty posts. Stay a while and visit a few links and leave some nice comments. By linking below, you give me the right to feature your photo and link back to your post. Thank you so much for coming ! Great Features. 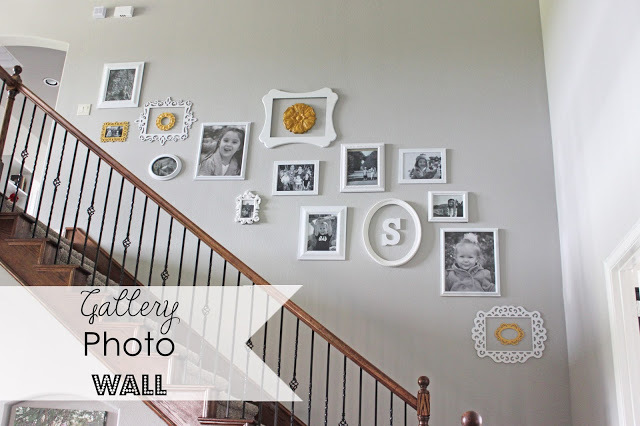 Love the staircase Gallery Wall! Thanks for hosting. Looking forward to visiting some of the other links. Gorgeous features this week, Rita! Thanks so much for hosting! Hope you're having a great weekend! 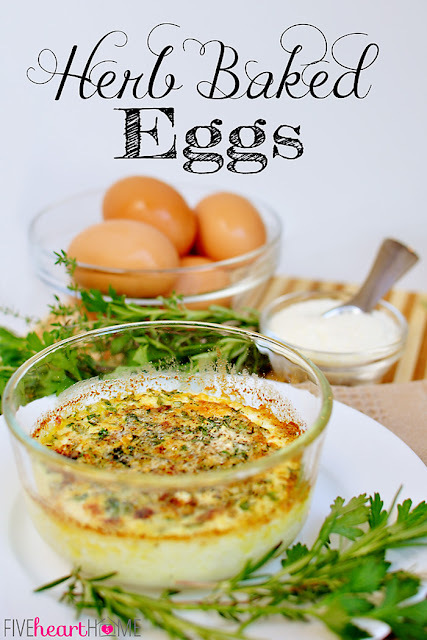 Thank you so much for featuring my Herb Baked Eggs, Rita! I hope you're having a great weekend! Thanks so much for hosting. Love the features this week. Enjoy the rest of your weekend! Thanks for the party, Rita! Thanks for the party, Rita!! Love the features too! Hi Rita! The features are AWESOME! So many talented people around here. Thanks for hosting a have a great week! Thanks for hosting, Rita! So sorry to hear you are having so much sickness with this pregnancy. I had a much harder time with my second pregnancy for some reason. Hope it goes away soon! Thank you so much for hosting Rita - hope your week ahead is good! Thanks for hosting another great linky party! Love your features this week. You look radiant and beautiful in your recent photos! Thanks so much for your kind comments on my blog and for inviting me over to your linky party! Have a great day!